We’re big fans of video-streaming service Hulu, as evidenced by the fact that the site made it through the tough vetting process to win an Eddy Award. So, as you might expect, even the rumor that the service may be planning on building an iPhone application is enough to bring squeals of glee to the Macworld offices. Respectable, professional squeals of glee, naturally. As the Insider points out, there are other video-streaming apps for the iPhone, including one for CBS’s TV.com and, of course, the default YouTube application included on every device for all your skateboarding dog and rickrolling needs. 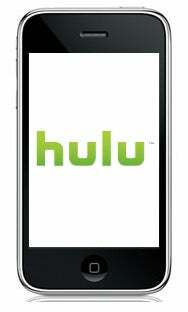 But if Hulu’s application can mimic the simplicity and effectiveness of its Web site (not to mention leveraging its brand recognition), it does have a shot at becoming the preeminent source for streaming video on the iPhone. Would the app work over both Wi-Fi and the 3G cell connection? Silicon Alley Insider says yes, though that seems iffy: AT&T hasn’t always been thrilled with applications that might chew up a lot of bandwidth (or potentially compete with its own revenue streams). Watching television on cell phones is already popular in other countries, such as Japan, and wireless providers have been trying to push it in the U.S, though it has yet to catch on, largely due to the added expense and limited content. A good Hulu app could go a long way towards changing that, especially if the company can manage to expand its content catalog. We'll tamp down on our excitement for now, but just imagine: the ability to watch Mark Wahlberg talk to animals no matter where we are? We have seen the future and it is glorious.